Sometimes I’m just in the mood for a little shmup music. “Venus Fire” has been sitting around on my to-do list for awhile, so today is a good time as any to introduce it to you. I’ve already done a few Thunder Force tracks, but “Venus Fire” from Thunder Force III (1990) is my second-favorite in the series. This is my favorite arrange of it by guitar master SSH (Saitama Saisyu Heiki). SSH’s rendition of “Venus Fire” is pretty epic. It goes on for over six minutes, but provides enough variety in the melody to keep it original. The track is also quite memorable with its short main section that feels like short bursts of flame coming off the burning sun (it actually looks like it takes place in an inferno). The guitar also sounds a bit similar to the ones used in the Genesis version, which in this case happens to be a nostalgic plus. There are a couple of good guitar solos in here two, one at about 2 minutes in (and about a minute long! ), the second at about 4 minutes in, and both provide an excellent display of guitar virtuosity. The track gets back to the main theme three minutes in with some brilliant layering. SSH combines the guitar with his trademark synth strings and organs. While the guitars do not sound as clean as in Toshiharu Yamanishi’s rendition (below), this still gets the win for epicness. Another great arrange is by Toshiharu Yamanishi, composer of the original, for ABSOLUTE AREA -project Thunder Force VI-. This one has an absolutely astounding guitar, Read the rest of this entry ? Here’s another Thunder Force tune, this time from Thunder Force IV, aka Lightning Force (1992). Considered by many to be the height of the series, Lightening Force made the most of the Sega Genesis graphics processor, with multiple background layers and tons of sprites moving very quickly. It also included dozens of bosses the size of the screen and some of the best Genesis synths. One of my favorite pieces from this game is actually the title theme, “Lightning Strikes Again”. The piece was composed by Takeshi Yoshida. There have actually been at least a couple mixes of “Lightning Strikes Again,” which is pretty surprising considering the track’s length – but also a testament to the memorability of those guitar riffs – this game (and the title theme) is immediately recognizable within the first half-second. 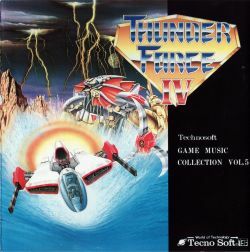 The first remix is off the Thunder Force IV soundtrack, Technosoft GAME MUSIC COLLECTION VOL.5 ~ Thunder Force IV. The track “Remind Revolution” contains an arrange of this song at the end, but it also includes “Evil Destroyer”, the Stage 1 boss theme. The second is actually the Stage 5 boss theme from Thunder Force V, “Duel of Top” where you actually get to fight the ship from Thunder Force IV. Pretty cool! I think the title is referring to the ‘top fighter craft’. The guitar here is very similar to that used on the Genesis, only higher-quality, but still with that Genesis grating sound. This mix was composed by Hyakutarou Tsukumo. 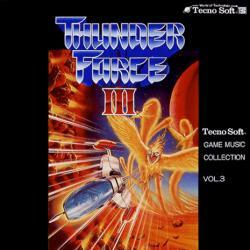 Technosoft is well-known for creating shooters, primarily space shmups like the Thunder Force series. These games are incredibly brutal and contain lots of gigantic bosses. Thunder Force V brought the series to the PS1 and Sega Saturn in 3D polygon glory. The series tends to be fairly generic in that it doesn’t have any unique gameplay (such as a force pod in R-Type) to differentiate it from other games, nor does it have a strong character design (Darius). 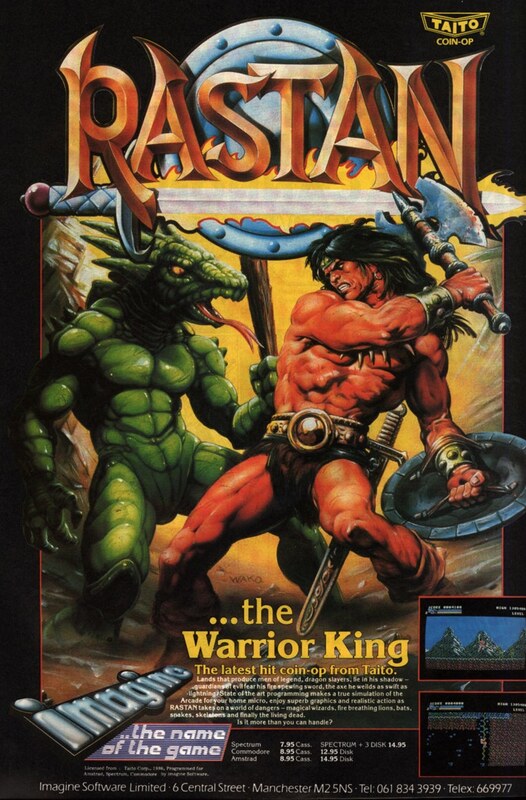 Instead, the series was popular because a) it was the top shmup on the Sega Genesis and b) it was very well crafted. Thunder Force V was composed by Hyakutaro Tsukumo, whose works include Hyper Duel, Blast Wind, and Neorude. “Rising Blue Lightning,” the Stage 3 theme, is one of my favorite pieces from the album. If you ask me, the stage is a little generic, with a quick trip to the clouds, but mostly a giant techno-city. This piece is from the Thunder Force ~ Lost Technology ~ soundtrack album, which contained a monologue absent from the soundtrack album, but had a louder recording. “Rising Blue Lightning” is a very active piece, primarily due to the rapidly rising and falling notes of the intro and the quick beat of the synth taiko drums. The song is mainly a synth piece, but is supported by guitars that add atmosphere, creating a nice counter to the synth line. There is also a good dojin arrange of this piece by Akindo in the album Thunder Force Renaissance. The arrange is dominated by a synth violin playing melody and backed by deep brass. The shrieking, piercing notes of the violin prove very dramatic, and again, there is a nice counter with the more serious brass. Ultimately though, Akindo’s arrange is a pretty straightforward orchestral arrangement, but it is a good one. “Metal Squad” is one of my favorite shmup tunes. It’s heavy metal, it’s brooding, it’s desperate. It’s that nice, driving series of guitar notes that makes the backbone of the track, with the key rising and falling to give different levels of drama and emotion. The stage this originally played in was from Thunder Force IV (aka Lightening Force, 1992) was a war machine factory deep inside an asteroid with mechs and biomechanical creatures that were a pain to destroy. It’s the type of mission that only a crack pilot has a slim chance of surviving, and even then the outcome is in doubt. Well, the whole game was kind of like that, but players who got really good at it could clear it. The high-pitch synth notes here give that little bit of hope flying above the ruins and the robots. Broken Thunder -project THUNDER FORCE VI- (2005) is one of those interesting soundtracks. It was produced using tracks from the at the time canceled game Thunder Force VI. 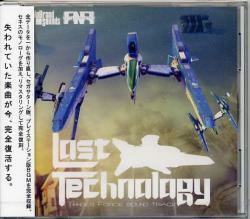 Technosoft was unable to finish the project, but somewhere along the way, the music was salvaged and released onto this great album. As such, this is one of the best soundtracks for a game that was never released (though Thunder Force VI was eventually released in 2008 for PS2 in Japan). “Metal Squad” is one of the few tracks on the album that’s remixed from a previous game, and the composer, Toshiaharu Yamanishi, also worked on 3 and 4 in the series, and this was the only track he remixed on the album.